I'm So Done With This Cold! I've tried the traditional 'get some rest' method of getting over my cold. I've sort of rested, with interruptions such as picking up someone from the store, working on a compliance certification for the store, besides the regular Mom stuff. Oh, and in the spirit of honesty, on Monday I changed my sheets and rotated my mattress, which lead to me moving the bed to a new location in the room and moving the dresser, when I had said I was going to rest. Sometimes things just have to get done! I am not a very good rester. Good thing I was never put on bed rest! I told Tim this morning I am DONE with this cold! It may not be done with me, but I am so done with it! I am up, dressed, hair done, make up on, bed made, house cleaned, and we are hosting our young friends today while their Mom does the tourist thing with their out of state company! Emma is making a PB and J picnic in the living room while they watch Larry Boy and The Bad Apple. Gotta love Veggie Tales! I've Been Trying To Rest, Really I Have! Why, oh why, is it so hard? My cold lingers on and is wiping me out. I have been trying since Monday to just spend a day in bed, RESTING. I know that it is because I am wife and Momma to my precious family. They need me and want me. I am glad of that and thankful! When Momma has a cold, she is still needed for help with math, to listen to a young reader, to encourage another dear child. I am thankful to be called upon to walk these paths with my children. I am thankful for His care, knowing just what we need. Now I am off to sneak in a nap, before I must go out to a dinner tonight. After finding out that one of the families, we were going to have fellowship with on Sunday, needed to drop their Bible College student off in Maryland not too far away from Gettysburg, I made the suggestion that we head over that way and spend sometime in the fresh air and let the kids explore. We haven't been there for several years and one family had never been. We've plans to go back sometime and maybe take a day or two. There is so much to see and take in. I find I feel very reverent at places like this. There was so much loss of life here. This is the view from the archway of that monument in the photo just before this one. It's beautiful. And hard to imagine the carnage. This July 1-3 is the 150th anniversary of this war changing battle. Being the youngest of six gives you an advantage (or disadvantage) over other kids your age. Because you get to hang out with the older kids, you often get to watch TV shows that they watch now but never would have been allowed to watch when they were the age of said youngest. One of these shows is Dr. Who. Kyle especially likes David Tennant's Doctor. So when we needed a new servant, unexpectantly, last week, Kyle was the beneficiary of a large appliance box. Just what does a 7 year old do with such a box? Why he makes it into the Tardis, naturally. See you can tell it's the Tardis because it says Police Box on the top. Watch out if you open the door without knocking!!! He is using his (Lindsay's) Sonic Screw driver on you! Whew, good thing he only was scanning you. You could have been vaporized. Though the cool thing about this Doctor is he tries to work things out in an agreeable way. He's a good looking fella, isn't he? Melts my heart every time! Remember that gift card Tim re-gifted me with? A trip to TJ Maxx and Marshall's happened in short order. I found this delightful caddy. In the ongoing fight for control of clutter in our cottage I knew this would work well to hold bibles and books. This keeps them from being stacked up precariously on a side table. It is white and has cute feet. After a few days of teaching Kamryn to leave the books alone, it is working out very well. Sometimes, we get in the mood to bake. Sometimes several of us want to do it at the same time. What do we do? We DO it! We take turns with the Kitchen Aid and the oven. 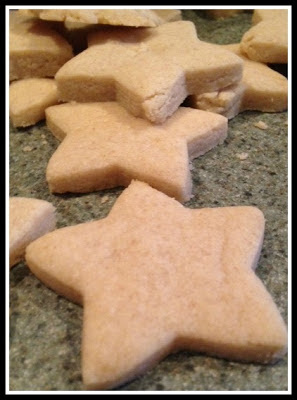 I wanted to try Cheryl's recipe for shortbread cookies. Vee tried them and liked them. I've not had good success with shortbread. These turned out well. I hope they freeze well, because after tasting one, they went into the freezer for Sunday. They will go very well with a bit o' tea in the afternoon. I also have been hungry for chocolate chip cookies. I almost didn't make them as I didn't have brown sugar and I am out of walnuts as well! I love walnuts in chocolate chip cookies! I decided to do it anyway and just used white sugar in the amount for the white and brown sugar required in the Toll House recipe. They turned out very well! Rachel says they taste a little different - more sugar cookie like, but I think they have great texture and taste like a chocolate chip cookie! It's time, once again, to have a party! Vee's lovely Note Card Party! If you want to join in click on the button above! This month my photos are all about two of my favorite things at Williamsburg - picket fences and the gardens. Thanks for stopping by! I am off to see your photos! I am a reader. Not just a reader, but a lover of reading. I love books. I love becoming engrossed in a story so much that you can't put the book down. I love reading to learn. A bookstore is a delight to me. I wanted to pass that love on to my children. See, I have had the joy of teaching each of my children to read. Some came to it quite easily and others struggled. I love that moment when I would hear, "Could I just finish this chapter, Mom?" One of my strugglers, my darling Sarah, is a lively, passionate lover of storytelling and writing. She couldn't wait to read and yet she struggled. Oh, the agony! For this girl loves to do everything that delights her, perfectly! Over the last two years, it clicked for her and she has taken off! She loves to read aloud to herself, and I enjoy hearing her delightful accents and phrasing! 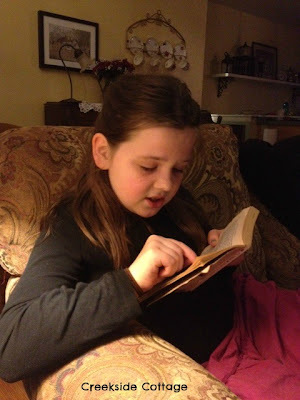 This was the other evening as she finished Prince Caspian, by C.S. Lewis. She is now reading The Hobbit. For those of us who are fans of Period Dramas, we recognize thevalue of a good servant. Consider Mrs. Hill, housemaid to Mrs. Bennet of Longbourne. I'm sure that whatever she was paid, it wouldn't have been enough to compensate for having to deal with Mrs. Bennet's nerves. We have had very faithful and diligent servants in our cottage. One of them lost it's life this week and the cost to replace it was impressive. A-hem. Here is the new servants staff photo. I can only hope that he will serves us as well as his predecessor did. Hot water is a luxury, one that I am grateful for, and willing to pay for. Now, I can only hope that my longest serving servant holds out for a bit longer, until we can afford to pay for a new one! At least my servants have a reasonableMistress to deal with, the lucky things. Two separate shopping trips - same shirts. Rachel spent the night Wednesday with my Mom and did some shopping. Lindsay, Emma and I did some shopping Wednesday night. Emma has a trip coming up and she and Lindsay also both got their hair cut. Yesterday, when Rachel came home, we all laughed! 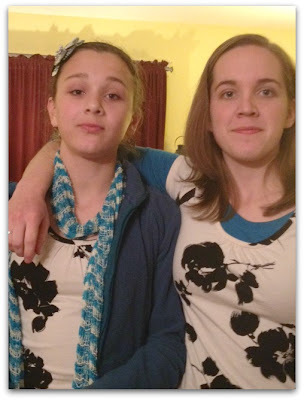 Not only had they bought the same shirt but they paired it with a similar color! Rachel says "I bought it first!" Such cute girls. I love them! Saw this on a friends FB page. I was in our store yesterday, and on his way to work, my sweetheart calls me. I tell him that he can buy me one of the watches we have in the shoppe for Valentine's Day. Mine is like the silver one! He laughs and says "Just take one. We already bought them!" I laugh. Then say "Well, I guess the TJMaxx gift card you said I could have could be my Valentine's Gift!" He laughed and said, "There you go! Happy Valentine's!" I laughed and said, "Wow! That means you are re-gifting for myValentine's gift! I guess I'll have to tell Denny thanks for my Valentine's gift!" We both laughed at the thought of how confused our friend would be! "What?!" or Conv-henge. Lindsay gathered up all of our Converse shoes and those few we have that are Converse like and built something she had been thinking about for a while. Thecute red ones on the right with the stars? Those are mine! The aqua ones with the stars and lime green laces? Rachel's. No surprise there. Almost all the rest are Lindsay's though the black high tops with the plaid striping down the back are Emma's. She got at custom made pair for her birthday about 4 years ago. Lindsay is, of course the photographer of this awesome shoe session. She did have a wee wild assistant though! For a bit of a chat. We watched the award ceremonies for the San Antonio Independent Christian Film Festival. Let me tell you, Christian films have come a long way from my youth. I was really touched by the acceptance speech of a young filmmaker Brian Ivie, who spoke so beautifully about the subjects of his documentary. His film,The Drop Box, was about a South Korean pastor who takes in abandoned children, babies really, who have disabilities such as Down's as well as physical disabilities. “I became a Christian while making this movie. When I started to make it and I saw all these kids come through the drop box - it was like a flash from heaven” - just like these kids with disabilities had crooked bodies, “I have a crooked soul. And God loves me still. Faith in God is the only refuge for people who are deemed unnecessary." You can read more about the festival and movies here. With Salted Caramel Buttercream Frosting! You canfind the recipe here. I've never made my own caramel sauce before, but I must say it is delicious! Only Kyle ate a whole cupcake this evening - we girls decided it was too late to eat, but tomorrow! 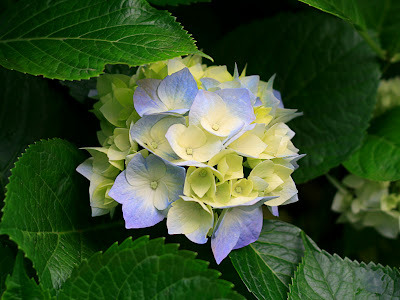 This post is about an answer to prayer. I believe that God cares about things like the desire to find a bunk bed set with a full bed on the bottom and a twin on top. A few days ago, after praying about it off and on for a few months, the Lord provided just what we had wanted through friends who were giving this set away! Rachel and Sarah share a small room and we did have two twin beds in here. They are so happy to have more floor space now. Rachel quickly claimed the bottom bed and is happy that her cello now has room to reside in her room. I am happy too, because it was living in my bedroom! Sarah was thrilled to get the top bunk! She said "I'm so excited! I've never slept on a top bunk before!" Rachel thought about this for a few minutes and said "Maybe we can trade off sometimes!" I love my girls! I am so thankful for their tender hearts and for their thankfulness at God's provision. A new bloggingaquaintance, made through Vee's Post Card Parties, wrote the most beautiful post last week. We talked of heaven again yesterday. She said she knew she'd be leaving her pretty pink room soon. Was she afraid, I asked after she said she'd be moving to heaven. "Not at all," she responded. "Why would I be?" Always steady, never ruffled, that's my mom. I reach over and offer some sips of water. Then I softly spread lip balm on her parched lips. I feel her brow, rub her shoulders, adjust her pillows, brush her hair that is due for a haircut. Her room is beautiful. She is beautiful. She is content. She is peaceful. She is always grateful and says so. Even if those are the only words she has energy to say, she will say, "Thank you for taking care of me." As she taught me how to walk, cut my food, put on stockings, plan a wedding, be a mother to my children, she is now teaching me how to die. A role model to the end. One of my favorite things is reading. Outside my window is grey and white, both sky and ground. I am thinking of the day ahead. The gift of bunkbeds - double bed on the bottom, twin on top for the girls bedroom and a short road trip and dinner with my daughter. From the kitchen there is the hum of the refrigerator and tea brewing. I am wearing my jammies still. I am reading Death Comes To Pemberley by P.D. James. I am hearing the chatter of my daughter home from her early morning violin lesson, and my boy playing my iphone. I am hoping that business for the store, both physical and online, will increase. Around the room are children just waking and pets sleeping. I am going to check on the house of a friend who is out of town. I am creating a Home; a place of welcome and refuge.